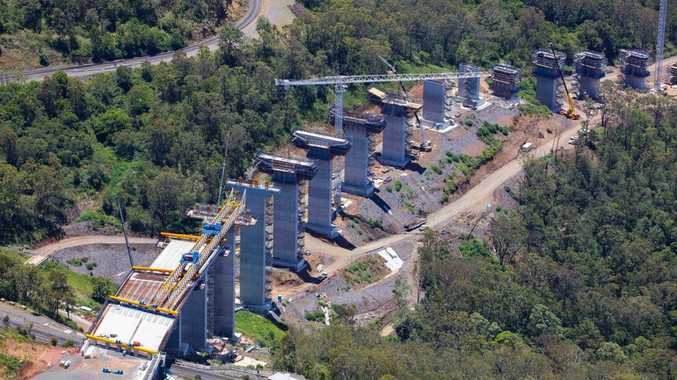 UPDATE, 6pm: THE company in charge of the $1.6 billion Toowoomba Second Range Crossing has committed to restructure their safety team after the company's senior executives were summoned to an urgent meeting with Ministers Mark Bailey and Grace Grace today. In a statement issued late yesterday afternoon, both ministers said the Nexus had "assured" them it was increasing the number of health and safety representatives on the work site. The company also "embraced the safety audit announced by Minister Bailey that will commence on Monday and agreed to accept and implement its recommendations". The audit will be led by risk management guru Ennio Bianchi, who has more than 30 years experience in the field. 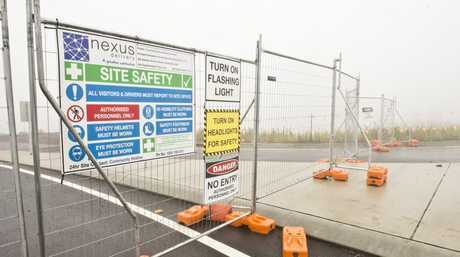 EARLIER: Today's unprecedented intervention into Nexus' workplace health and safety procedures at its Toowoomba Second Range Crossing worksite by two state government ministers has been a long time coming, according to the Construction, Forestry, Mining and Energy Union. Since the project began almost two years ago, Workplace Health and Safety Queensland has made more than 200 site visits and issued 87 statutory notices to builder Nexus, a consortium of investment companies and a Spanish construction joint venture of Acciona Infrastructure and Ferrovial Agroman. 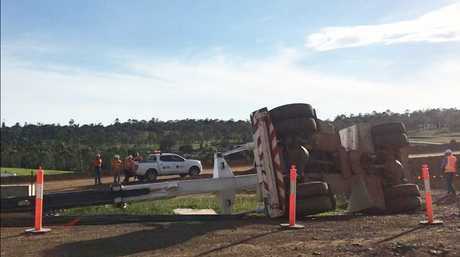 To date, there have been 17 rollovers involving plant vehicles at the $1.6 billion project, which CFMEU Queensland and Northern Territory assistant secretary Jade Ingham described as "the worst job we've ever seen". "And I think it's a miracle no one's been killed yet," he said. "I have not seen a job like this in my time. The job's a disgrace." The Chronicle has reported extensively on health and safety issues at the Toowoomba Second Range Crossing since Toowoomba North MP Trevor Watts first raised questions regarding workers' safety in Parliament in late May 2017. At the time, a spokesman for the Department of Transport and Main Roads told The Chronicle "no major injuries had been reported on site during construction of the project". Four months later, in September, the State Government's health and safety watchdog had issued Nexus and its contractors with 28 notices for breaches of workplace health and safety legislation. Back then, the CFMEU said it would be surprising to see any construction project reach double figures for breach notices issued. The number of notices issued to Nexus is now fast approaching three figures. The Chronicle has obtained a copy of the company's first infringement notice, issued 10 days ago, for "incomplete fall prevention rail systems along the western elevation of pier 19" which "provided an imminent risk" of workers "falling over two metres and being impaled onto starter bars". It carried a penalty of $3600. The establishment of a special TSRC team inside WHSQ that has been working hand in glove with Nexus since the first week of January ultimately led to today's intervention from Minister for Industrial Relations Grace Grace and Minister for Transport and Main Roads Mark Bailey. Minister for Industrial Relations Grace Grace said today's meeting would send a clear message to Nexus regarding the gravity of the situation. But for Mr Ingham, the number of breaches is representative of the workplace culture under Nexus - one that prioritises cost-cutting over safety and a place where workers fear losing their jobs if they speak up. "(Nexus) beat the next tenderer (for the contract) by $300 million, and they've got to make that money back somewhere in the job," he said. "(Workers) are living in fear. They have financial commitments, mortgages to pay, families to support. They should not be put in this position where they have to compromise life and limb just to earn a dollar." Mr Ingham said of today's meeting between the State Government and Nexus: "I hope there will be serious intervention from the Government. A pow-wow sitting around, having a cup of tea together is not going to change the culture. "They need to be put on notice and put on a very short lead and unless they change, they should have their contract torn up. As simple as that." Nexus was contacted for comment yesterday after the Government's announcement of a meeting, and again this morning with the CFMEU's allegations, but has so far not responded.